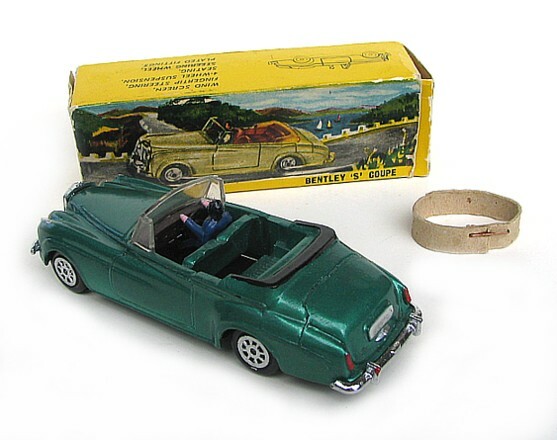 In regard to your Post #3, you are quite correct - most of the castings in the Nicky range were woeful. Unfortunately, Maxwell and Milton had dies which had already reached their use-by-date when Meccano off-loaded them so they were already up the proverbial creek at the very beginning of their Indian adventure. 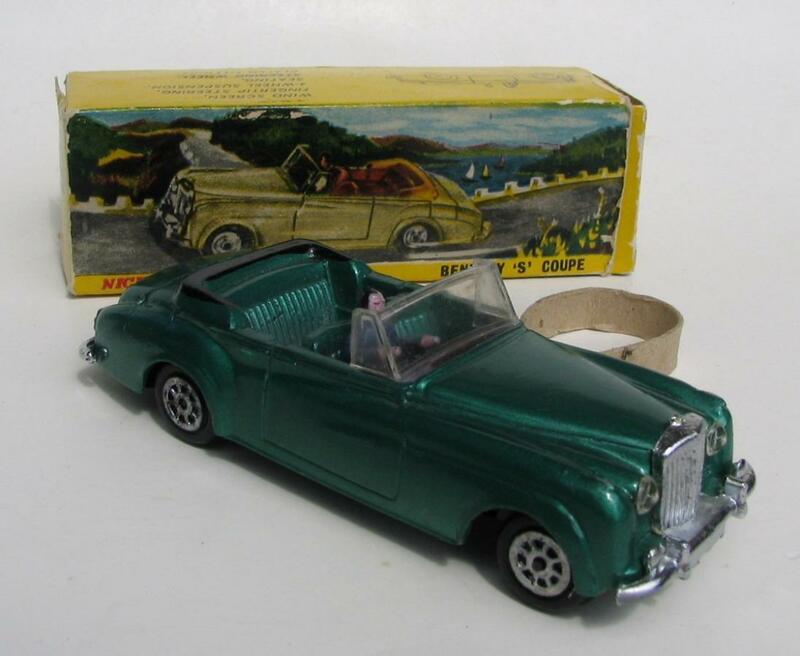 I have had a few pass through my hands, and only one stands out as an excellent casting, the 194 Bentley Coupe whose image is below. 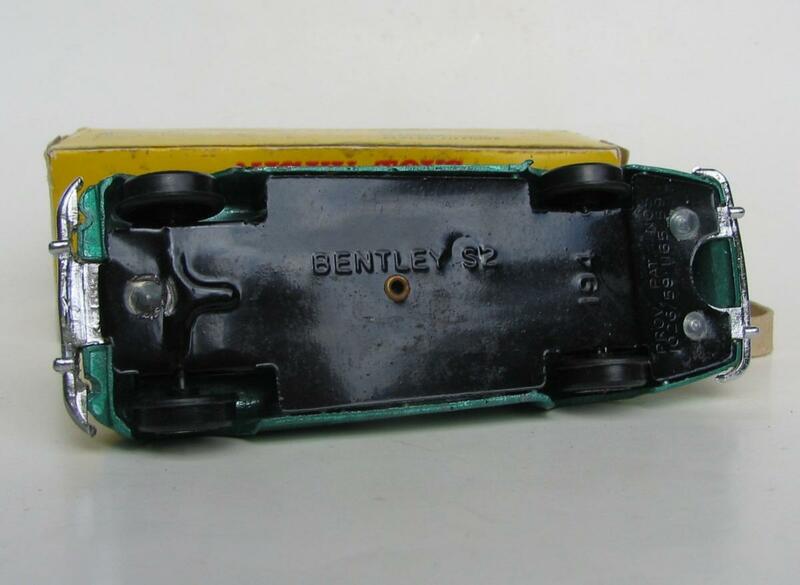 The only items that were detrimental were the wheels and base plate, the casting itself was virtually without fault. The driver was strange, but what the heck! I am now including some more images of this model. Unfortunately it has gone to a better resting place! 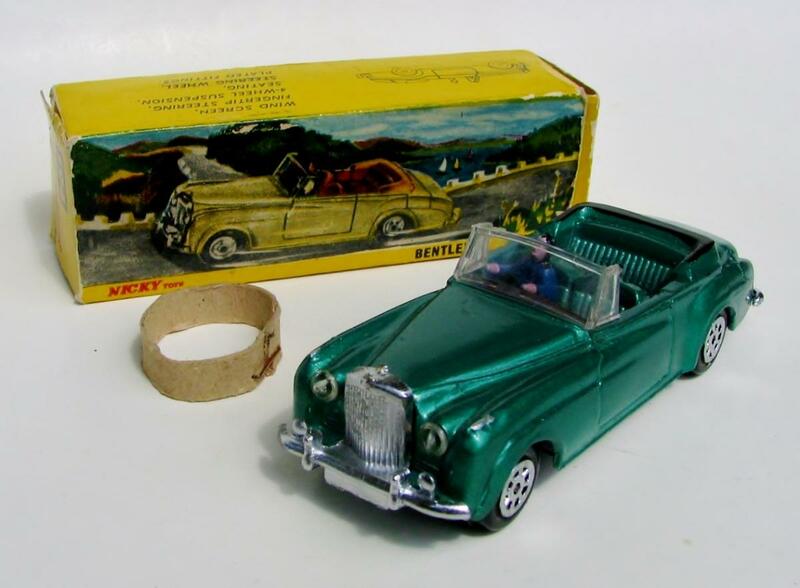 The Bentley is nice Bruce, it even has something approaching proper tyres. As far as Nicky is concerned it was covered extensively on the old Talk Model Toys site with most of the items included with lots of photos. As Meccano dies were used I thought it right to add it here, it is never going to be mainstream. I did the list of entries and Dave Kaun kindly added them to the site, I only own the Jeep and the Vanwall, I will probably only pursue the military items from now on. Thanks Dave - I think Nicky Toys deserves to be on this site, more so than those "terrible" Atlas Made in China copies! At least Nicky used the moulds/dies from the old Meccano company, even if their rendition was not up to the quality of the original. Thank you for including them on the list of entries you gave Dave Kaun. 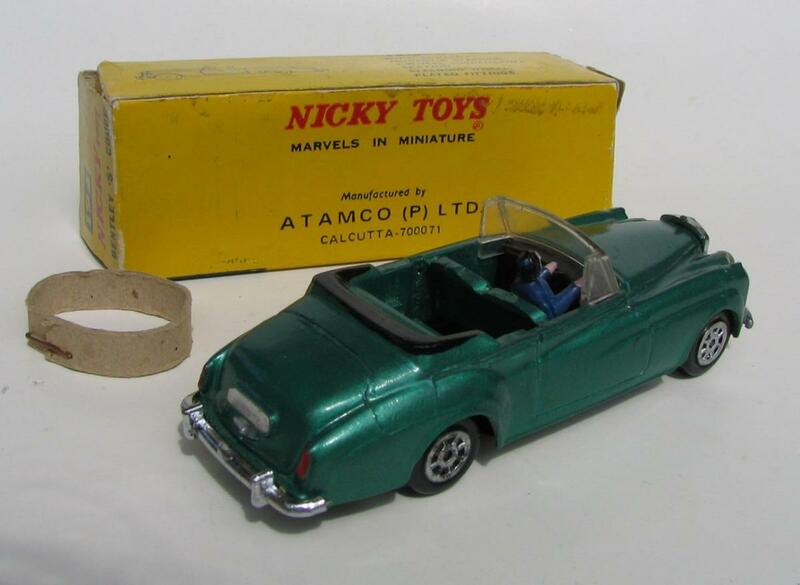 I currently own no Nicky Toys, and am only concentrating on the real McCoy! Here here Bruce, I could not agree with you more. I suppose that Nicky bought end of stocks of paints. The Bentley can be found in at least 12 different colours and there is a rare variation fitted with the R-R Silver Wraith front grill which has the reference number 094. It can be found in at least four colours.